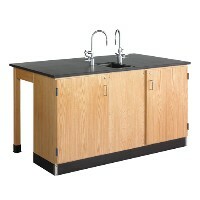 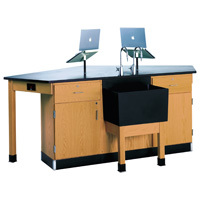 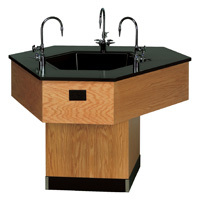 Our Science Lab Workstations add extra functionality to traditional flat top science tables with available sinks and fixtures, and versatile storage options such as locking drawers and cabinets. 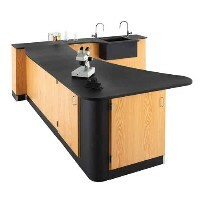 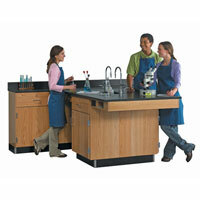 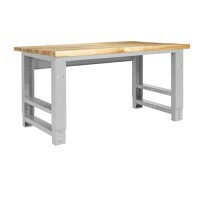 These tables come in a variety of countertop work surfaces that can resist heat, scratches, chemicals, and other hazards in your science classroom for long-lasting service. 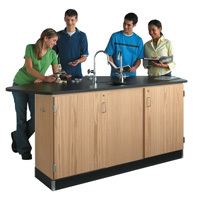 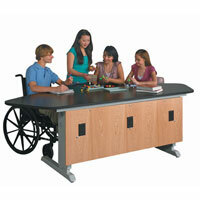 Buy a Science Table Workstation today and equip larger groups of students with everything they need to prepare and conduct experiments in one convenient area.